We provide free estimates on all of our services. Please feel free to get in touch with any questions you may have. For more information on Provincial Disaster Assistance Programs please click here. Does your house in the Regina area need foundation repairs? If it’s sinking at one end or in numerous places, it may be time for some! Your home is a significant investment, so make sure it’s as safe and comfortable as possible. Problems may be encountered when there is too much moisture or a lack of moisture in the clay based soil around your homes foundation, causing basements to sink, walls to crack and your home to shift. The biggest problem in Alberta is lack of moisture. Underpinning, House leveling can often correct these problems. However, it’s important to tackle the root of the problem to prevent recurring issues. Damage from erosion, tree roots, and plumbing leaks can make a home start to sink, sag, and sport uneven floors. 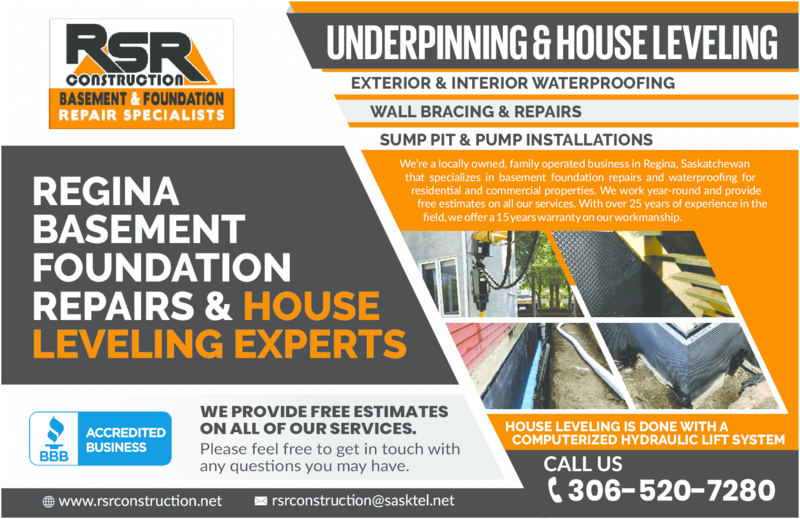 RSR Construction: Basement & Foundation Repair in Saskatchewan and Regina offers underpinning services to reinforce and expand your foundation as well as waterproofing services to improve drainage. Call us for a free quote today on foundation repairs in Regina and Saskatchewan! When it comes to construction, the method used to increase the depth of foundations or to repair faulty foundations is called Underpinning. 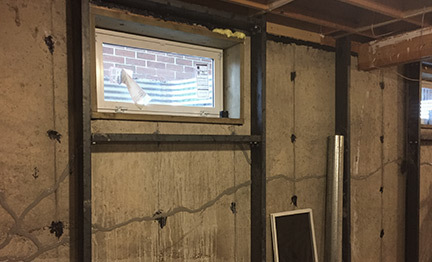 Find out more about this topic, that RSR Construction: Basement and Foundation Repair in Regina, offers. 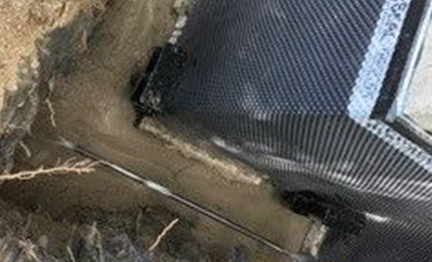 Waterproofing refers to various techniques used to prevent water from entering the basement of a house or other building. 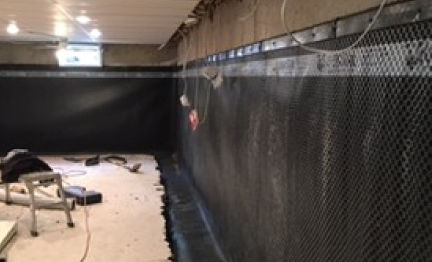 Learn more about the experienced interior and exterior basement waterproofing RSR Construction: Basement & Foundation Repair in Regina offers. Let our expert team keep Your Home dry. Check out our latest updates and news. Do you have a leaky basement? Flood damage? 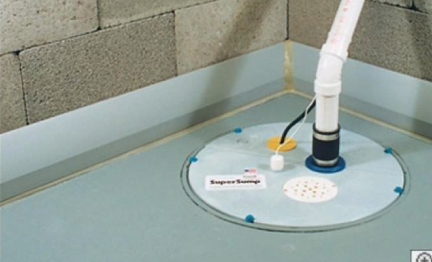 Is water seeping into your home or building and you don't know what to do about it? For questions about the services we offer Regina and surrounding areas, or to schedule your free evaluation, contact RSR Construction today. Our team will be more than happy to discuss your unique situation and the timely solution we can provide. We look forward to serving you!